- Blaze Rod: Maybe a live wire. I unfortunately don't know what the icon that represents Blaze Powder is suppose to be.- Bottle o' Experience: Maybe a syringe (for doping yourself) ... Oh, I just see, that pumpkin pie looks something like that. *confused*- Enchanted Book: A Mini-Tablet or E-Book-Reader- Clownfish: 3-eyed mutant fish- Pufferfish: Mini-Godzilla or vividly colored toad- Took one of your great ideas and brought it to life. I would like to repeat my suggestion from some weeks ago: An ABC-Protection-Suit. Took one of your great ideas and brought it to life. Cool. Looks like a fancy iPhone. Wow! 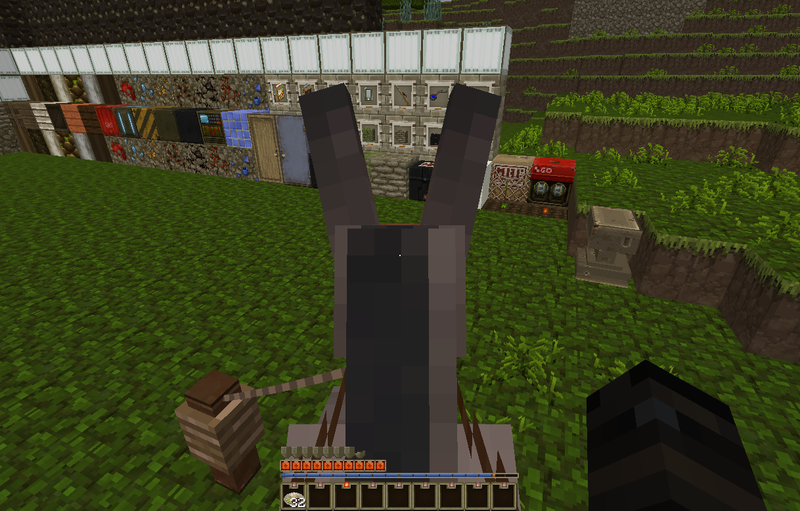 I really like your textures! Especially the bow. Can you make a download link for your textures? Glad to hear it. 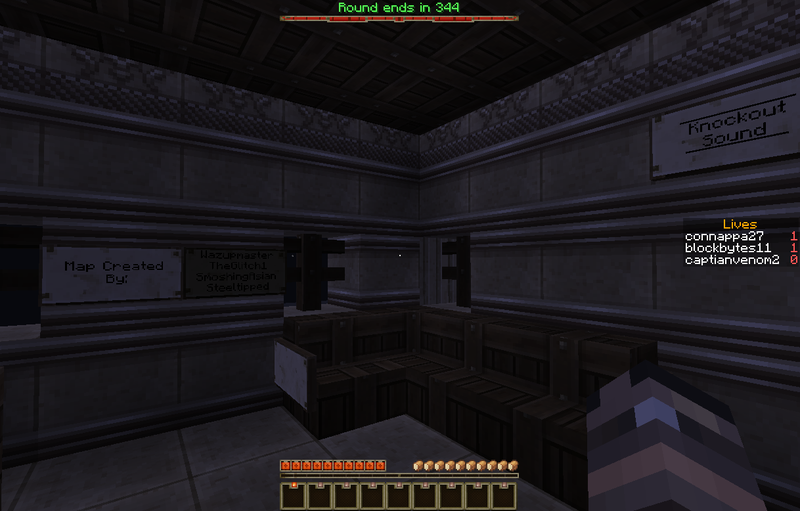 I've been working on my own flavor of this texture pack for quite some time now. I will eventually put up a download link hopefully sometime before Feb.12 (Hopefully sooner depending on how long it takes to do a couple more items) I still currently need to add various new sounds such as gunshots etc and have contacted somebody who might be able to help. I'll make sure to post more progress as I continue. So I decided to try and make some original GUI's today. Heres the results for the boss health and player heath icons along with the experience bar. The food bar icon is a placeholder and therefor is not my work. I LIKE IT. With exception of the player health bar, sorry. It may probably be done better, but it will work for now. Feel free to download and insert into the pack folder. Be careful to include the file "clock.png.mcmeta" you can find in the default pack. Just throw both the files into the "items"-folder of the resource pack. Think you can fix the compass/gps as well? Any suggestions on what else it could be? Im open twords others ideas. NOTICE: The pack I am working on is not meant to be completely TEIEN. I felt that there where ways to make the pack more server and vanilla friendly (Hence the reason I call this a Remix Pack). I am also aware that some of these textures are some from TEIEN but recolored/modified etc... I did this to help enhance the feel of the pack while also utilizing some of the amazing work that Santiago has made. I felt it would be a waste not to use such work. -I am open to constructive criticism. It will be one of the main things driving this remix. I want to know what people want out of this so therefor please tell me your opinion. -Also the bow &amp;amp; wood door textures are not my own- the original author has granted me permission to use and edit these textures and the results are the ones you see here. I've already done it but sadly i dont have a screenshot atm. I'll post one in the morningAny suggestions on what else it could be? Im open twords others ideas. -Also the bow &amp;amp;amp; wood door textures are not my own- the original author has granted me permission to use and edit these textures and the results are the ones you see here. For starters the coal block does not match the coal it is made of. 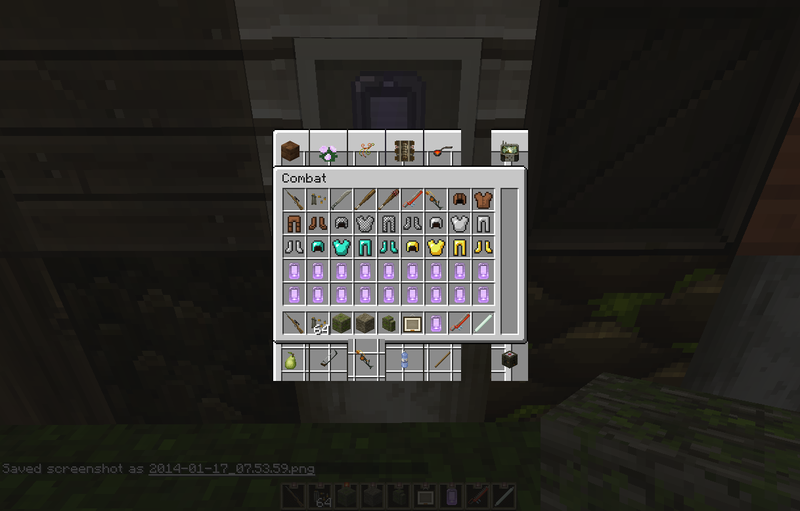 The ender chest I was expecting to look more high tech. The armor icons look good so far. The E-reader I like the idea but I don't know there is something I want to say but don't know what to say about it. 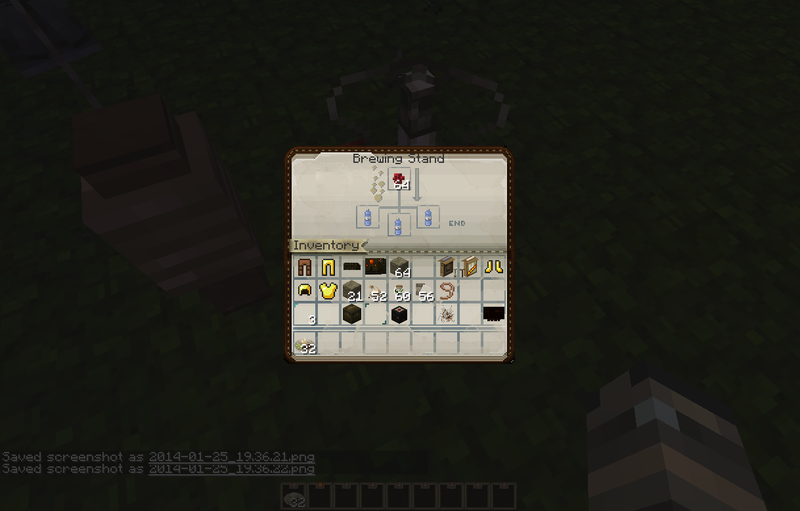 The brewing stand gui I think although looking great as it is right now should be techy like that of the enchanting table. Oh yeah I almost forgot I was going to answer your question to what the blae powder is and if you are still wondering it is a grenade detonator. 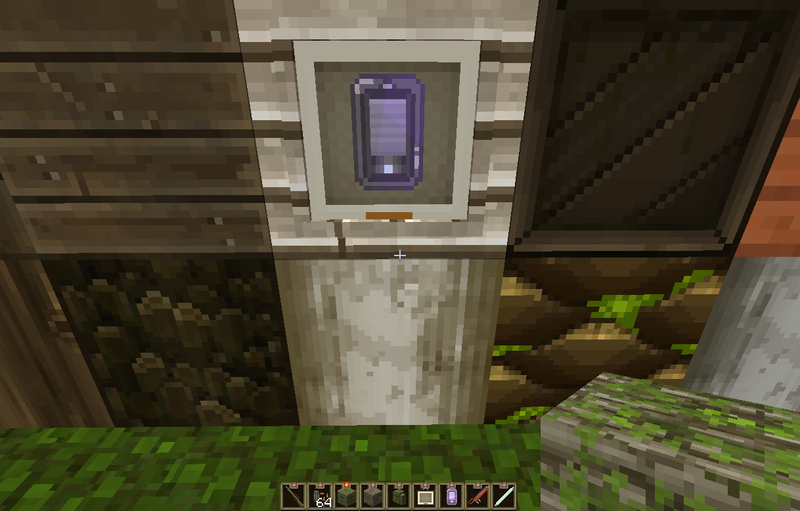 Yeah i tried to make a high tech safe texture for the e-chest however it didn't turn out very well. 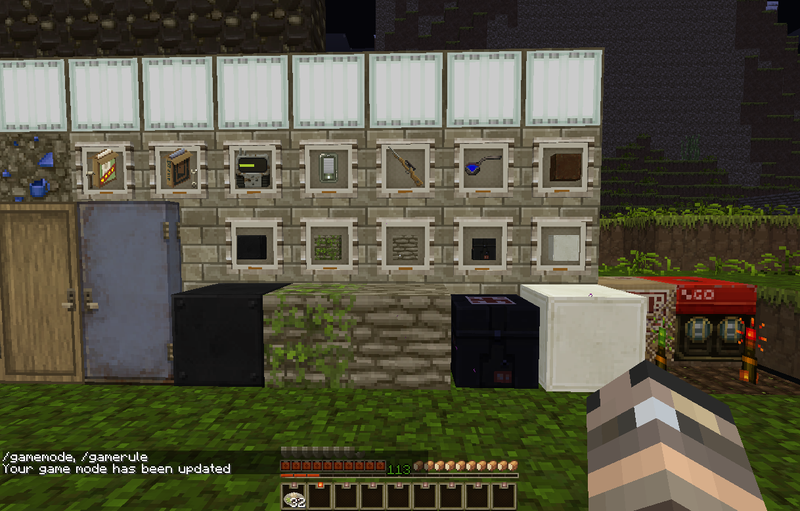 I'll be looking into making it more tech like in the end along with the brewing gui. Thanks for the input. This will come out as soon as our sound guy gives us the .wavs (he's already made them). It could be tomorrow even! Sorry that you won't get the Nuclear Winter Update, but there will be a texture-heavy update coming out soon as well. Following the update, I will try to post most of my passive mob textures and get back to work on wooden stuff. Both are already done but only the clock was actually made available. One thing I forgot to mention can you add the gps background back to your compass animation. Sorry to hear that there have been dropouts, but I will wait patiently for the next update. Of those things listed, there is of course the sounds missing. The sounds have been picked out, but they need to be cut and shortened. Also, the sounds hardly replace all of vanilla, so it there will be desire for more to be done even after the sounds are added to the pack tomorrow.Thanks for your patience, the team hopes you get the best experience possible out of this pack!With a couple team members MIA, things have been slow, but there will be a texture heavy update sometime soon. Signature? Pssh, nah. I'm too mainstream for that.